Who Should Be Your Lubrication Technician? 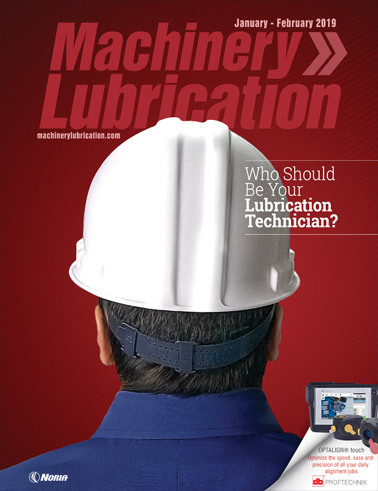 Discover the benefits of having a knowledgeable and well-trained lubrication technician as well as the qualities to look for when filling this key position. Torki Ibrahim, Yanbu Cement Co. This case study details how the Yanbu Cement Co. successfully managed its lubrication program and achieved a 60 percent reduction in lubricant procurement for 2017. If your hydraulic systems are not meeting the recommended cleanliness levels, your filters may not be in the proper locations. Like most condition monitoring methods, blotter spot testing can add information or data to help answer questions about machine health and lubricant condition. Never assume new oil is fit for use right out of the container. In many cases, the lubricants you receive are several cleanliness codes dirtier than what should go into the equipment.